I can't believe how fast the Holiday season is going by!!!! I haven't finished my shopping yet and I'm sure some of you are with me too! (or at least I hope so!) But have no fear! I am here to talk about gifts that are perfect for that girly girl in your life that don't break the bank!!! 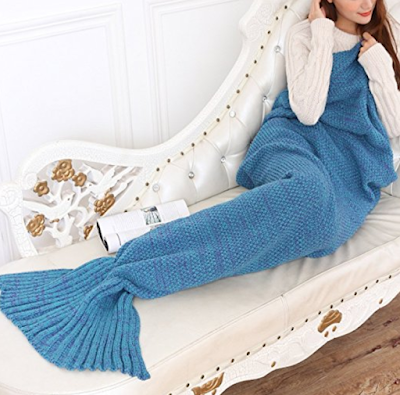 Mermaid tail blankets have been trending so much the past couple of months! It's also something you want to get for yourself but never actually do. It's the perfect gift for someone who you don't really know but need to get a gift maybe for a secret santa! Who doesn't love getting jewelry! Especially since chokers are so trendy right now! 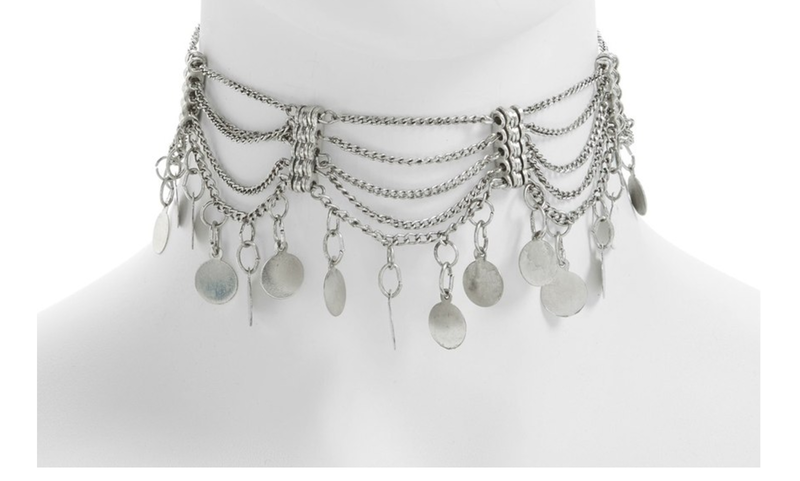 This one is from Topshop and it literally looks like a $100 choker but it's only $25!!! Speaking of chokers not to self promote myself or anything butttttt I do have an etsy shop with a bunch on there! The one shown here is the birthstone choker $5! Comes in every color for birthstones. I also have rhinestones, the "Namaste" collection and more! Check it out! Prices $5-15! Use code : HAPPYHOLIDAYS for 10% off through New Years!!! 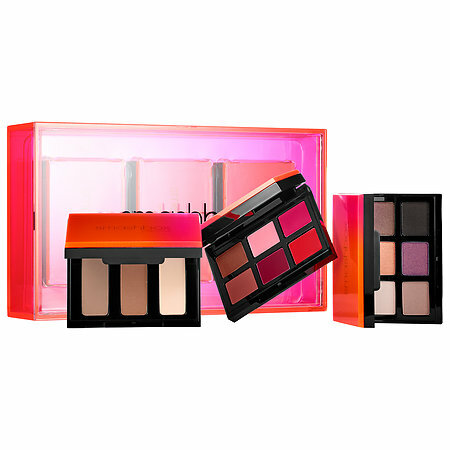 Smashbox always has the cutest little sets around Christmas time! This one is an eyes, lips, and contour kit all for $30! 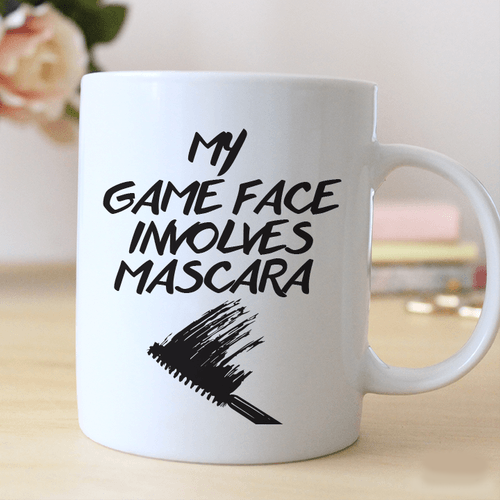 Perfect for makeup lovers! The box behind it comes with it too so you have a little place to store more palettes! Marley Lilly is having a sale right now on a few different items! 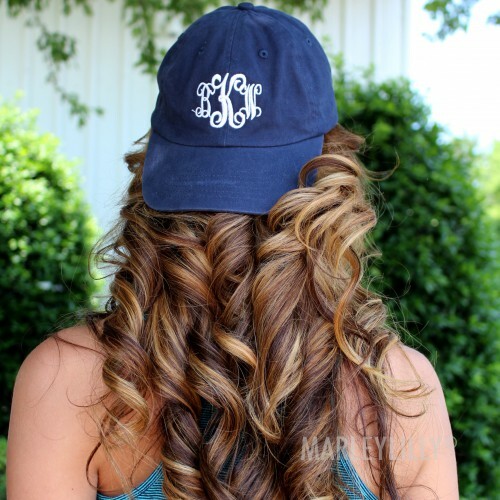 If your BFF loves monograms this is the ultimate gift! 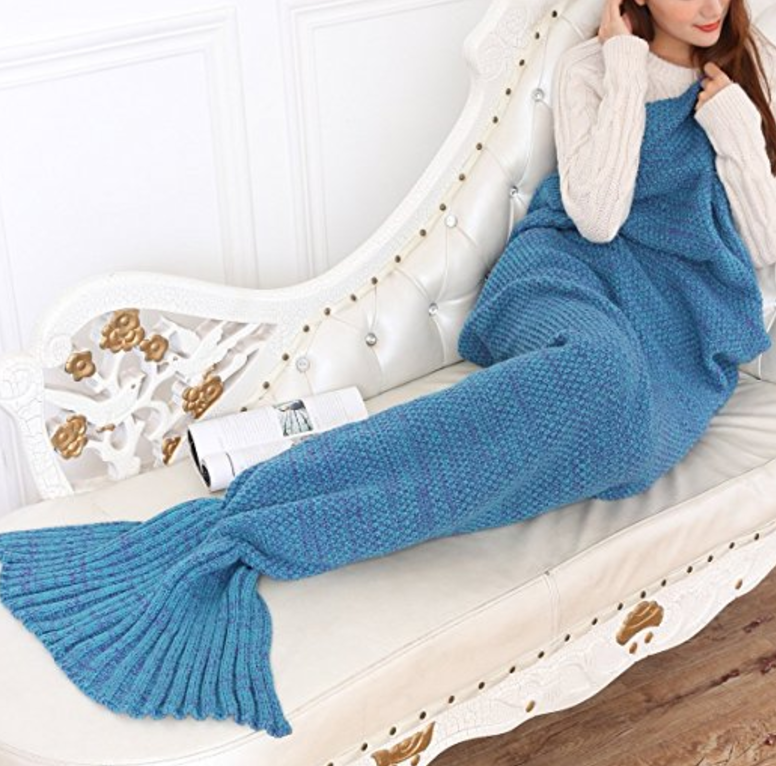 It comes in so many colors too! It's a fun gift that they will always have! 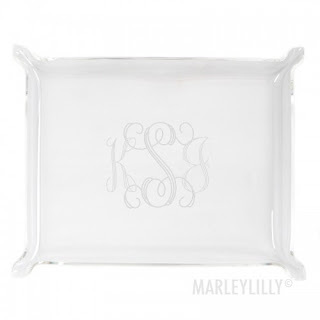 Small Acrylic Monogramed Tray - $20! What a steal! 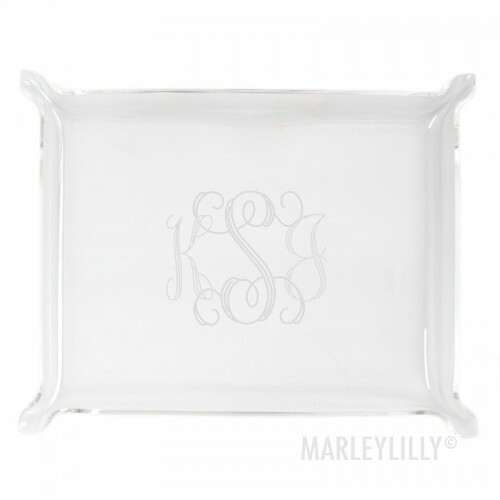 Only $20 at Marley Lilly for this monogramed tray! Perfect for putting your phone on, keys, makeup, jewelry! Also, it's clear so it will go with anyone's room! I love these mugs so much! Especially for people who drink coffee! I especially love the Gossip Girl ones I find on Etsy all the time! WWBWD (Who Would Blair Waldorf Do)! There's so many things you can buy a girly girl for the Holidays! Anything from a nail polish kit that includes fun little extras, if you really know your friends style then clothes are always good, accessories for your hair, and of course DIYs!!!! There are so many do it yourself projects to try out why not try some out for your BFF!!! Let me know in the comments below what you are getting your BFF for the Holiday!